Jeter Match Alpha Starter Set in file box. Compatible with Jeter 7100 series. Size: 1 5/8" W X 15/16" H. 2,898 labels per set. A-Z + Mc. File box & indexes included. 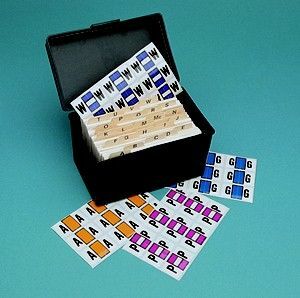 Labels are laminated for durability & have permanent acrylic adhesive.